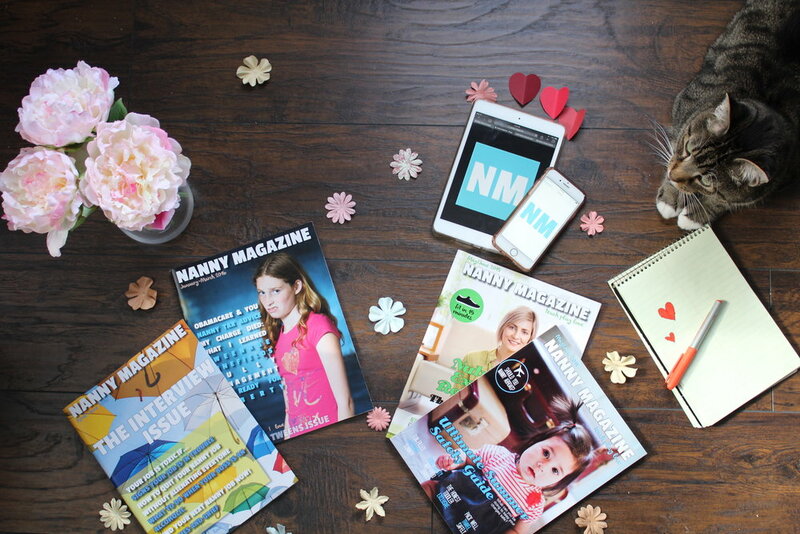 A subscription to Nanny Magazine is an investment in your career. Why are there so many magazines for parents, but only one for nannies? Print subscriptions are available for individuals in the United States only. Subscribe to print by clicking the blue 'subscribe' button below. Or, get print + digital access (including archive to 2014) by subscribing to our bundle (see below). Save when you subscribe to both print +online formats. Get the best of both worlds by clicking the blue 'subscribe' button below. $49 + s/h (4 print issues/year + online editions). Subscribe and save on digital editions. Read on the go with any device connected to WiFi. Subscribe to digital by clicking the blue 'subscribe' button below. For non-recurring (one-year) or gift subscriptions, click here. What better way to spend a day than with someone a magazine that gets you? Read all issues of Nanny Magazine, even ones that are out of print. We're making it easy to purchase single-copy back issues. Learn more. Get 25% off your order of 10 or more copies. Email info@nannymag.com to inquire about savings on bulk orders. Ideal for agencies and raffles.